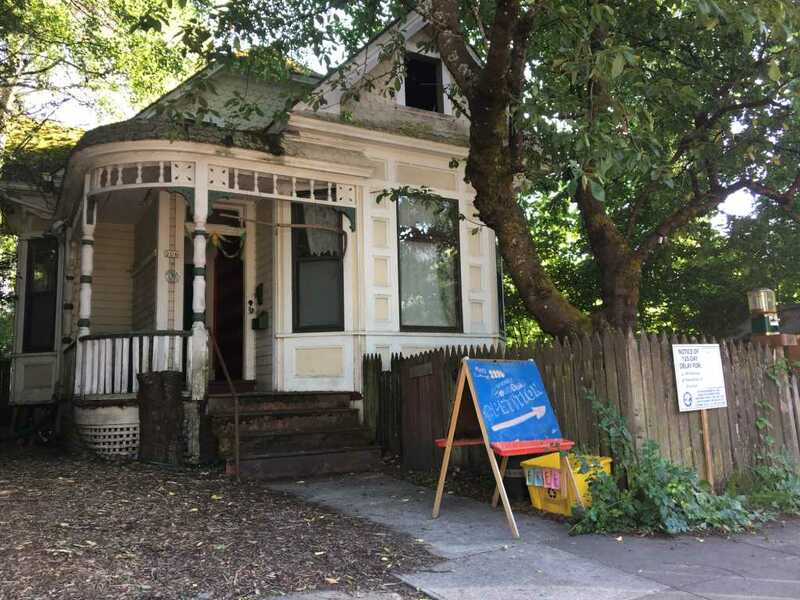 You can help stop the demolition of 206 NE Sacramento and its urban forest garden. The surrounding community is organizing a petition and appeal to save this historic house and edible forest garden from proposed development. The backyard at 206 Sacramento St. has been a working urban farm/ permaculture homestead for the past 9 years and, in addition to producing food, provides crucial urban habitat for migratory birds, mammals, and pollinators. Goats, ducks, turkeys, bees, cats, skunks, owls, rabbits, snakes, raccoons, opossums, hawks, and countless species of insects have also resided here. There are 20+ fruit and nut trees on the property, many over 80 years old, all slated for removal this September. Its destruction would be a major loss for the neighborhood. We need your help! The public comment period for the Land Use Review is yet to be announced. This is an important step in determining the future of this property. Anyone who would like to write a short statement is welcome to submit. Please contact the Eliot Neighborhood Association for details at news@eliotneighborhood.org. We believe that in-fill construction should be compatible with the character, style, and scale of our neighborhoods. Our vision for this property is to create affordable Co-housing through the possible use of a Land Trust – preserving the vitality of the local ecosystem while increasing density in a sustainable manner with ADU’s – cultivating supportive relationships with each other, our community, and the environment – while honoring the historical context of the place. There is a petition signing station on the sidewalk in front of the house (next to the duck eggs) Please drop by and add your name in support of preservation. Interested folks can knock on the front door for a tour of the garden. Organizers are asking for any kind of help you can provide – contacts with the city, state, or county; signatures for the petition, financial resources, social media attention, grant programs, crowd-funding ideas, community land trust proposals, co-housing applicants with ADUs, and historic preservation suggestions. For more information please contact Judge D. Finkle at donate@cleanstate.org . it’s been habitat more than 9 years: by our observation, more than 40.